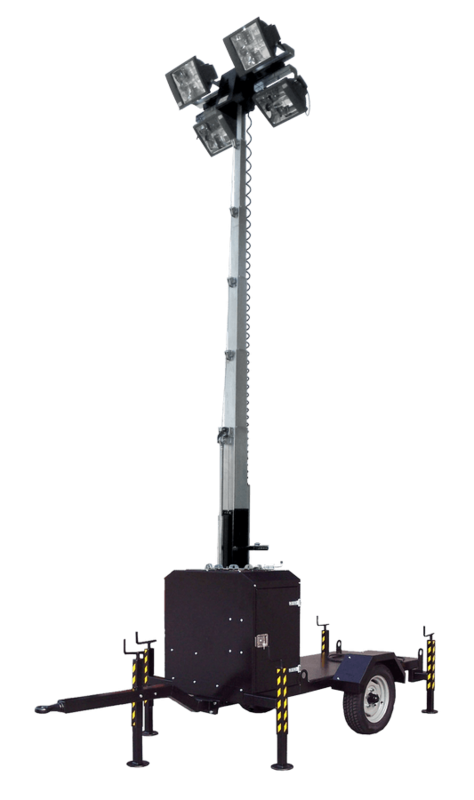 The Hydro light tower is a model with vertical mast and hydraulic lifting system. It is powered by a power generator placed on its back. The operator can choose between 10 kVA or 22 kVA power generators provided by Generac Mobile®. 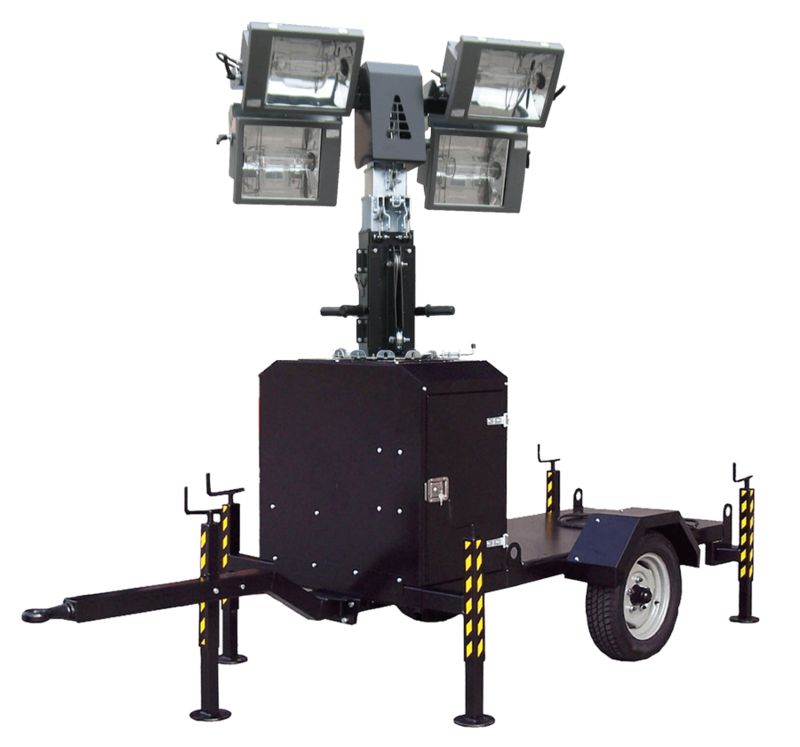 The Hydro model can be considered as a “two-in-one” solution ideal for customers interested in having a mobile lighting tower that also boasts a powerful generator. The Hydro is provided with an power generator of your choice (10 kVA suggested for the LED version or 22 kVA suggested for the MH version). The Hydro is equipped as standard with a low speed site-tow trailer to be easily towed on building sites. Choose the lamp type you prefer between 4×1000 metal halide or the innovative 4x320W LED floodlights.